If you want to know what inspires an innovative and experienced orthodontist and dentist like Dr. Jacquie, with one visit to her office you just may find yourself drawing some inspiration from her! 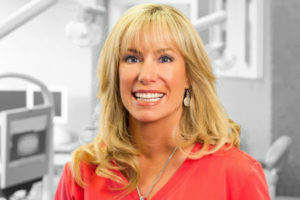 From paving the way for women in the orthodontic field, to giving back to her community, INVENTING her own dental products and traveling the world in pursuit of her passion, Dr. Jacquie is more than your average orthodontist and dentist. Dr. Jacquie’s Mission has always been to brighten the world one smile at a time. She achieves this through educating her patients with what they need and creating her signature broad smile design, which she lectures all over the world about. Dr. Jacquie says, “What I do with my patients is the perfect balance between science and art.” She explains to her patients the science behind what is occurring throughout their treatment, while still showing the beauty of the individual in each case she creates. After being the Director of the Pre-doctoral Orthodontic Department at Boston University, Dr. Jacquie returned to New York to be with her family. Over the years, she opened several offices in Manhattan, Long Island, and in upstate NY and New Jersey. Dr. Jacquie enjoys the teaching aspect and says, “To teach is to learn twice. Being a professor, while having a clinical practice is having the best of both worlds because you can take real life experiences and apply them to your curriculum.” When she first came back to New York, she was interviewing at New York University (NYU) and Columbia University Dental School. At the time, she was also invited to present a study at Invisalign’s annual international orthodontic meeting. After the meeting, she was flown out to California to interview with Align Technology, Inc.’s prestigious faculty team and accepted the position, which allowed her to teach and certify dental and orthodontic students at NYU, Columbia, her alum B.U. and 44 other dental schools. Dr. Jacquie says, “Being a faculty member and brand ambassador for Invisalign was easy and fulfilling because I was able to discuss, teach and have brainstorming sessions with doctors and students all over the United States and the rest of the world. It’s something that comes naturally to me and therefore never consider is working.” Dr. Jacquie also says that she is grateful for learning about the logistical part of lecturing from what goes into standing in front of an audience to everything that goes on behind the scenes for her to be on the radio or Television. She says that being a brand ambassador allows her to travel and meet doctors, with all different types of schooling and training. It feels like she walks away with gaining more knowledge than she started her lecture with. As being the first female and youngest Director of Boston University Dental School’s Predoctoral Orthodontic Department, Dr. Jacquie felt honored paving the way for women to follow her. She wants to be a beacon of hope for women to not feel intimidated to enter a world that has been for generations heavily influenced by men. “It is exhilarating to see the initial 15-20 percent of the dental school classes who were female when she started to being 50 percent (and some even more) filled with women,” Dr. Jacquie says. She feels so proud to see the influx of women in her field. In the beginning of her career, Dr. Jacquie was asked to lecture and present her abstract to 1200 orthodontists and their teams in Las Vegas. She presented her abstract of a four-year double blind study on identical twins, comparing one twin being treated with tooth colored ceramic braces and the other with clear removable orthodontic trays. Dr. Jacquie compared the initial and final results, patient comfort level, chair time and overall orthodontic treatment time. Currently, Dr. Jacquie is working on her own proprietary whitening dental product line. Dr. Jacquie says, “The two things I have heard repeatedly from my patients over the years of creating signature smiles is whitening doesn’t work or my teeth are so sensitive that I can’t go through with it.” She says that it has been two years in the making, with many trips to the lab to perfect it. Dr. Jacquie is calling the product line Dr. Smiles White and it will launch 2018. You can find more information out about it at www.drsmiles.com. As the future goes on, paying it forward is what Dr. Jacquie is all about. She created a foundation called the The Dr. Smiles Foundation formed by her and her husband. It focuses on changing the world one smile at a time. It will provide dental services for those in need and focuses on anti-bullying efforts and will also have a Miles for Smiles run included in its 2018 initiatives. << WHY Haven’t YOU Had Invisalign Yet?